SteelSeries did everything right with its flagship wireless model, the Arctis 7. They are both awesome-sounding and highly customizable, making them the most well-rounded headset we’ve tested. First there’s the “ski goggle” headband, which is not only super comfortable but swappable too, as SteelSeries offers a bunch of different colors and designs, including a leather headstrap if you want to go full hipster. Next, the AirWeave ear cushions are as comfy as a down jacket, but if you prefer a different texture you can swap them out for velour units for just $15. Logitech’s G533 headset represents a bold move in the world of PC gaming, as the company actually chose to not include RGB lighting on its newest headset, if you can believe that. Lighting on a headset is kind of silly anyway since you can’t see it, but we applaud Logitech for making its headset more utilitarian and less “gamer-y for once.” With that in mind, this headset is all business, with a sleek design that is both comfortable and great-sounding. The retractable and bendable microphone includes a pop filter (a rarity), and can be easily flipped up to mute, which is nice. 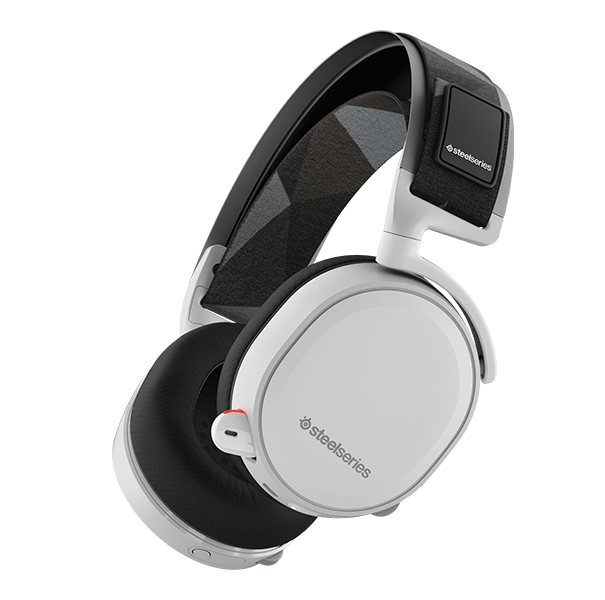 The G533 offers DTS HeadphoneX 7.1 surround sound (PC only), and it includes an easy-to-access volume wheel on the left earcup along with a G-key for quick access to macro settings. You can also remove and wash the soft earpads, which comes in handy after a year or so. They’re entirely plastic so they feel kind of cheap, but this allows them to be super light so they don’t feel too heavy on your head or squeeze your ears too much. It’s our favorite headset at $100, but note that it’s just for PC gaming as the Logitech software is PC-only. Corsair recently updated its Void headset, turning it into the Void Pro. Though it’s not our absolute favorite headset, it’s pretty good and you might prefer Corsair’s design and software over Logitech’s buttoned-down G533 above. The Void certainly has a unique design, with angled earcups, RGB logos, 7.1 surround sound, and soft, breathable fabric on the earcups. Corsair’s CUE software can be a bit tricky to figure out but if you already have a Corsair keyboard or mouse you can control everything from one central app. Everything else about the Void Pro is just really good; the microphone, the comfort, the wireless range, and battery life. It’s even available in white, or in a special “yellow jacket” version if you want to match it to your rig.